85th Annual Conference of the German Society of Cardiology - Cardiovascular Research (DGK) is organized by German Society of Cardiology - Cardiovascular Research eV / Deutsche Gesellschaft fur Kardiologie (DGK) - Herz - und Kreislaufforschung e.V. and will be held from Apr 24 - 27, 2019 at Mannheim rose garden, Mannheim, Baden-Wurttemberg, Germany. Additional details will be posted as soon as they are available. Onko Experts Forum Gastrointestinal is organized by Forum for Medical Education / Forum fur medizinische Fortbildung (FomF) and will be held on Apr 26, 2019 at Munich clinic Neuperlach, Munich, Bavaria, Germany. Course Description: The Onko Experts Forum serves to exchange all general practitioners and clinicians in relation to the different tumor entities. Brief impulses will refresh existing knowledge and round it off with a presentation of patient cases and case studies. Recommendations on treatment guidelines are given and discussed by a panel of experts. Participants will have the opportunity to discuss with other experts across disciplines. The scientific leaders are pioneers in their field and act as moderators of the event. Additional details will be posted as soon as they are available. International Medical Travel Journal (IMTJ) Medical Travel Summit 2019 is organized by International Medical Travel Journal (IMTJ) and will be held from Apr 28 - 30, 2019 at Seminaris CampusHotel Berlin, Berlin, Germany. The target audience for this medical event is senior decision makers involved in the medical tourism and international patient market. Additional details will be posted as soon as they are available. Workshop on Infections after Fracture Fixation (IFF) is organized by PRO-IMPLANT Foundation and will be held from Apr 29 - 30, 2019 at Langenbeck-Virchow-Haus, Berlin, Germany. Target Audience: Clinicians and life-science researchers with advanced knowledge and interest in implant-associated infections of the following specialties (or enrolled in an educational program): • Trauma, orthopedic or related surgeons dealing with bone and implant-associated infections after fracture • Internal medicine (micro)biology, infectious diseases or related fields dealing with biofilms and antibiotics • Pharmacy, pharmacology or related fields dealing with pharmacokinetics/pharmacodynamics Course Description : This conference provides an up-to-date information and a practical approach to manage infections after fracture fixation. Emphasis is put on interdisciplinary teamwork, open discussions and practical advice for the daily clinical work. Case discussions and interactive lectures were specially designed to interact and share experience between speakers and participants. The course is a mix of lectures by expert scientists in the domain, interactive case discussion and practical (hands-on) workshops. 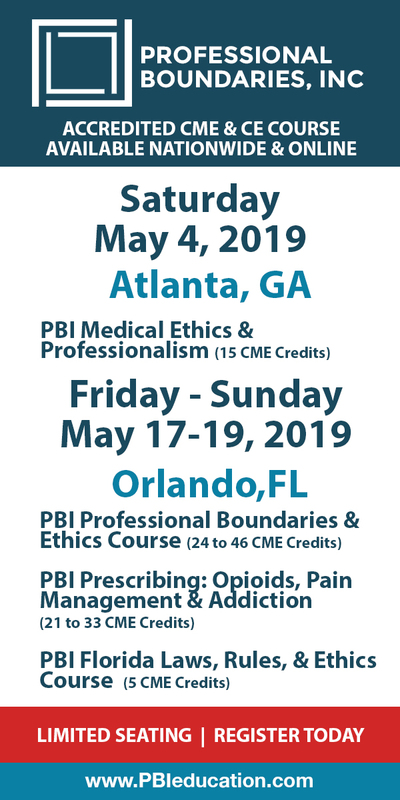 Course Goals : To review, update and advance the theoretical and practical knowledge in diagnosis, treatment and prevention of bone and implant-associated infections. At the end of the workshop, participants should be able to generate a rational and efficient management plan based on modern principles. Additional details will be posted as soon as they are available. 50th Deutschen Dermatologischen Gesellschaft (DDG) / German Dermatological Society Conference is organized by MCI Deutschland GmbH and will be held from May 01 - 04, 2019 at CityCube Berlin, Berlin, Germany. 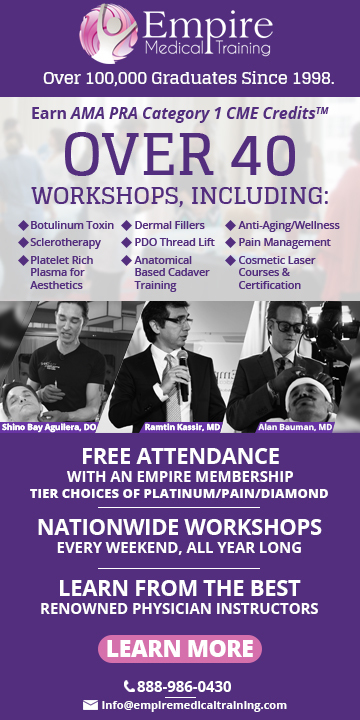 Continuing Education / Training / Certification The event is certified by the Berlin Medical Association and the DDA. The prerequisite for the point entry is the indication of your 15-digit uniform training number (EFN) at the conference registration. For technical reasons, no EFN can be submitted later after the congress. You do not need a DDA chipcard on site for crediting your continuing education credits. The continuing education credits are awarded on a daily basis: • 01.05.2019 - 3 points / category B • 02.05.2019 - 3 points/category B in the morning and 3 points/category B in the afternoon • 03.05.2019 - 3 points/category B in the morning and 3 points/category B in the afternoon • 04.05.2019 - 3 points / category B Course Description: The format of the conference has proven its worth in the meantime and in 2019 the focus will again be on plenary events with outstanding speakers on hot topics. Also, relevant topics of the practice everyday life, to current developments of the dermatology and to occupational topics are treated. Courses and symposia of the DDG associate working groups will be considered in a proven way. Also for the CME certification is taken into account. Register now and enjoy until 22.01.2019 our discounted early bird fees!​ Time: 9:00 am to 4:00 pm Additional details will be posted as soon as they are available. European Society for Medical Oncology (ESMO) Breast Cancer is organized by European Society for Medical Oncology (ESMO) and will be held from May 02 - 04, 2019 at Maritim Hotel Berlin, Berlin, Germany. The target audience for this medical event is designed for breast cancer researchers and clinicians who have a specific interest in innovation (including translational research, new agents, molecular and functional diagnostics, biomarkers and cutting-edge research applications in the clinical setting) and care. This Conference has been approved for a maximum of 17 ESMO-MORA category 1 points. Conference Description: The 2019 programme features sessions on innovative treatments, DNA damage, early clinical opportunities, immunotherapy and breast cancer response, metabolism, regulation of breast cancer diversity, and resistance to targeted therapy. These topics span basic, clinical, epidemiologic, prevention, and translational research areas that have implications for treatment now and in the future. Cancer patients and their needs are at the heart of what we do – we are committed to advancing research and integrating it into the clinic to ensure better care for our patients. In recent years, we have seen remarkable progress in treatment options and improved outcomes for breast cancer patients. We are committed to delivering a comprehensive overview of all the practice-changing new data and making sure it has a clear roadmap to the clinic to improve care for patients. Brought to you by ESMO, your trusted provider of specialised education in oncology, the congress is designed by the world’s foremost experts in breast cancer, authors with an outstanding publication track record. We welcome the very best clinical and translational research and we look forward to showcasing outstanding original data. ESMO Breast Cancer will offer immediate global visibility to practice-changing developments. Conference Objectives: • To advance knowledge • To integrate translational research into cancer care • To further improve precision medicine • To disseminate education and • To improve the practice of breast cancer specialists worldwide Additional details will be posted as soon as they are available. Spring Conference of DtGAP is organized by German Society for Anthroposophic Psychotherapy eV / Deutsche Gesellschaft fur Anthroposophische Psychotherapie e.V. (DtGAP) and will be held from May 03 - 05, 2019 at Rehabilitation clinic Schloss Hamborn, Borchen, North Rhine-Westphalia, Germany. Additional details will be posted as soon as they are available. 4th Frankfurt Symposium is organized by MCI Deutschland GmbH and will be held from May 03 - 04, 2019 at Dorint Hotel Main-Taunus-Center Frankfurt / Sulzbach, Frankfurt am Main, Hessen, Germany. Description: The Frankfurt Symposium will take place under the motto Gastrointestinal Tumors incl. Hotspot for individualized therapy, standards, trends, case reports and current studies. In lectures, ContentCamps and interactive ContentCorners, standards, latest study results and therapy trends on gastrointestinal tumors are presented and discussed. In the interactive session formats "ContentCamp" and "ContentCorner" participants with speakers in small groups can discuss the latest study results and therapy trends on gastrointestinal tumors and actively participate in program design. Time: 1:30 pm - 1:30 pm Speakers: Prof. Dr. med. Salah-Eddin Al-Batran, Prof. Dr. med. Wolf Otto Bechstein, Prof. Dr. med. Jorg Bojunga, Prof. Dr. Timo Gaiser, PD Dr. med. Thorsten Oliver Gotze, Prof. Dr. med. Nils Homann, Prof. Dr. med. Elke Jager, Prof. Dr. med. Thomas W. Kraus, Prof. Dr. med. Hauke Lang, Prof. Dr. Sylvie Lorenzen, Prof. Dr. med. Markus Mohler, Prof. Dr. med. Jorg Trojan, Prof. Dr. Oliver Waidmann Additional details will be posted as soon as they are available.